“… 2018 ended with a major and exciting change in my life: I BOUGHT A NEW CD player! I know, I know, right at a time when CDs are on the way out, and here I invested in the best one I could find––even as I also invest in putting another one out. Well, I'll have a top-of-the-line system to listen to it with: It's a BOSE, with a sweet-spot EQ, and it only cost me $8,500.00 (taxes included)! Riigght?? “I know! That's a bargoon! “The seller, straightening his striped tie, assured me it was the most sophisticated CD player available today, and he showed me something crazy (you're not gonna believe this! 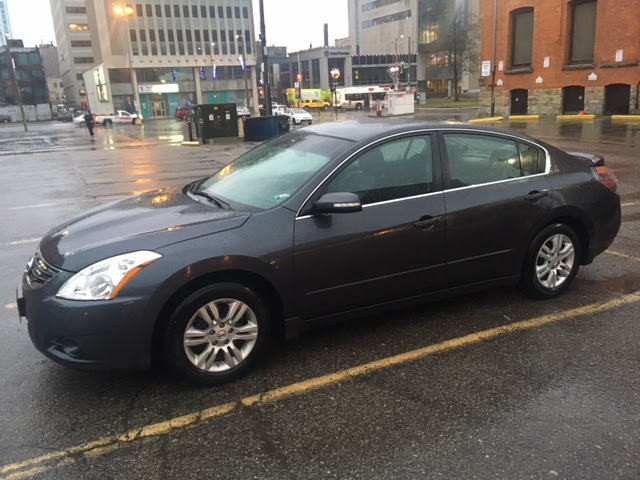 ): it's also got a 2012 Nissan Altima built right in! “I was like, "Whaaaat, you mean I can get into my CD player?" "That's exactly right, son," said the man through the stub of his cheap cigar, "through any of its four doors––and son," he assured me as he slapped his arm around me, "not only can you climb inside your CD player, but it'll take you annnny place you point it, near and far and far and wide!" He gestured grandly with his cigar-end at all the adventures waiting yonder. "And tell you what... something I'm gonna throw in, absolutely for free––because you seem like a genuiine, discerning appreciator of the compact disc... if you aim this one at something, in the dark... it will also act as a giant. portable flashlight. My friend, you have not seen its like. Bene, cosa aspetti? Go on, vai avanti! “Try it out, put in a CD! See how it feels..."
– Excerpted from Corin Raymond’s most recent newsletter that can be subscribed to here.